Posts tagged with "october 16"
At Apple's media event yesterday, Apple unveiled a new high-end iMac that includes a Retina 5K display. Starting at US$2499 it includes the 5K display with a resolution of 5120x2880, a 3.5GHz quad-core Intel Core i5 processor, 8GB RAM, 1TB Fusion Drive and an AMD Radeon R9 M290X graphics processor with 2GB of GDDR5 memory. In every other respect, the iMac is identical to its non-Retina version, still tapering off to the sides with an edge of just 5mm. The Retina iMac can be further upgraded to a 4GHz quad-core Intel Core i7, 32GB of RAM a 3TB Fusion Drive or 1TB SSD and an AMD Radeon R9 M295X with 4GB of GDDR5 memory. Apple's website explains the interesting technical features that allow the iMac to have a 5K display, including a custom timing controller, Oxide TFT and highly efficient LEDs. Because there are nearly 15 million pixels, Apple developed its own timing controller that has four times the bandwidth of the previous generation 27-inch iMac. The Oxide thin film transistor (TFT) provides the electrical charge to each pixel and does so more precisely and quicker than other technologies - and is even more energy efficient. Apple have also used more efficient LEDs which has actually enabled them to power four times the number of pixels with 30 percent less power. A major change in the new iPads that Apple didn't mention on stage today is the Apple SIM, which will come preinstalled on the iPad Air 2 and iPad mini 3. As we mentioned in our overview, the Apple SIM will be initially limited to the US and the UK. The cellular-equipped versions of the new iPad Air 2 and iPad mini 3 can be bought with a single SIM card that supports multiple carriers, meaning that customers don’t have to decide at the time of purchase which cellular carrier they want. Customers buying previous versions of the iPad were bound to one carrier from the outset, since the SIM card was only compatible with that service. It’s early, but it’s easy to see how this concept could significantly disrupt the mobile industry if Apple brings it to the iPhone. In many markets—especially the US—most mobile phones are distributed by operators and locked to those networks under multi-year contracts. People rarely switch operators, partially out of habit and satisfaction, but mostly because it’s annoying to do so. There have always been rumors (see: 2010) of Apple setting itself up as a MVNO to change the way customers “interact” with carriers. It's interesting that Apple has started to experiment with Apple SIM on the iPad and I'm curious to see if and how this will expand worldwide. Earlier today, Apple confirmed that Apple Pay – the company's new payment system based on Touch ID – will be launching on Monday alongside iOS 8.1. Apple Pay will be available in the US starting Monday, October 20 with iOS 8.1. For shopping in stores, Apple Pay will work with iPhone 6, iPhone 6 Plus and with Apple Watch, upon availability. For online shopping within apps, Apple Pay is available on iPhone 6, iPhone 6 Plus, iPad Air 2 and iPad mini 3. Users should contact their bank to determine their card’s eligibility, some banks may not support all card types. Apple Pay will be available in select retailers and apps in 2014. Apps with the ability to use Apple Pay at launch include: Apple Store app, Chairish, Fancy, Groupon, HotelTonight, Houzz, Instacart, Lyft, OpenTable, Panera Bread, Spring, Staples, Target and Uber. Many more will support Apple Pay by the end of this year with popular apps such as Airbnb, Disney Store, Eventbrite, JackThreads, Levi’s Stadium by VenueNext, Sephora, Starbucks, StubHub, Ticketmaster and Tickets.com, among others. During the keynote, Apple's Craig Federighi noted that Apple uses the release of major iOS updates such as iOS 8 to collect “feedback” (with literal air quotes from Federighi – read: criticism) and quickly improve upon them. iOS 8 has been criticized for its various bugs and inconsistencies, but, as I noted in my article, I don't believe its technical problems were as severe as iOS 7 last year. Still, iOS 8.1 will bring various design refinements, extension and HealthKit fixes, and it'll see the return of the Camera Roll in the Photos app. For more on Apple Pay, you can read our original overview. 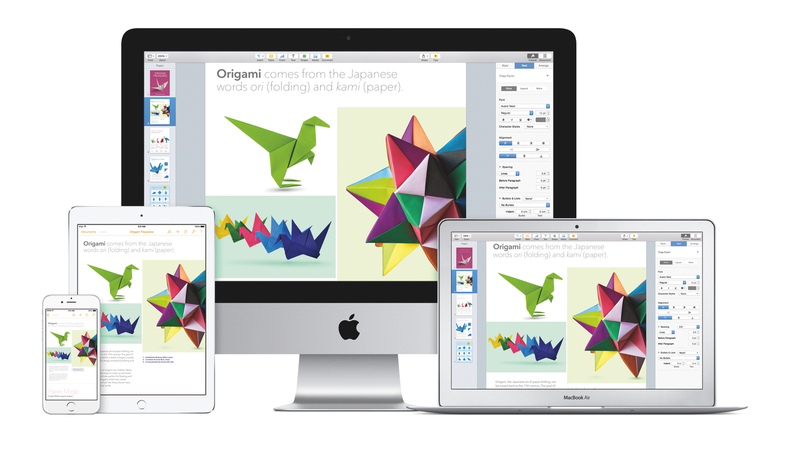 Following the launch of OS X Yosemite earlier today and the announcement that iOS 8.1 with Apple Pay and bug fixes will be released on Monday, October 20th, Apple released an update to its iWork suite that brings a redesign for Yosemite and better integration with iOS 8. 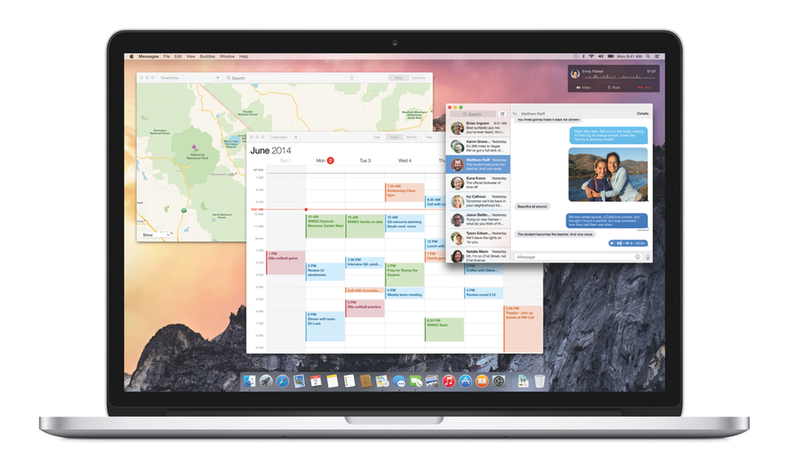 OS X Yosemite, first announced at WWDC in June and released today by Apple, brings a major redesign of OS X and a variety of new features such as widgets, extensions, Handoff, and Continuity. While I don’t use OS X as much as I did a few years ago, I still rely on the system for tasks that I can’t complete on iOS alone. 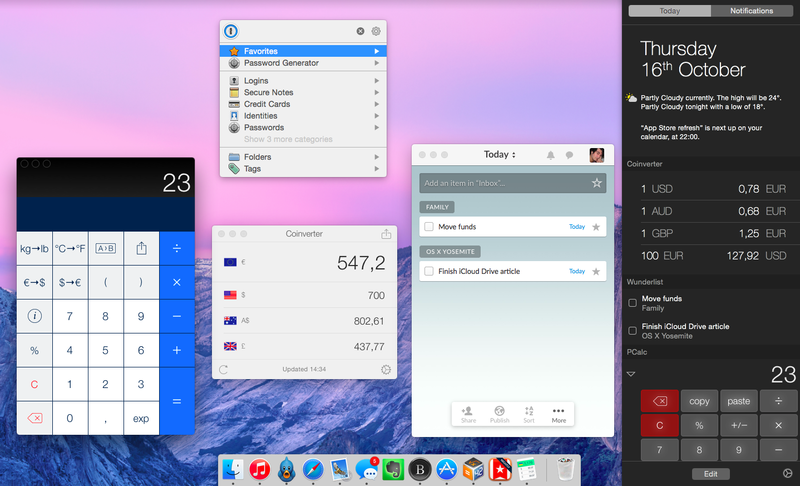 Below, you’ll find a roundup of the third-party Yosemite apps I’ve been testing over the past couple of weeks, which should give you a good idea of the design changes and new functionalities Yosemite is bringing to OS X. 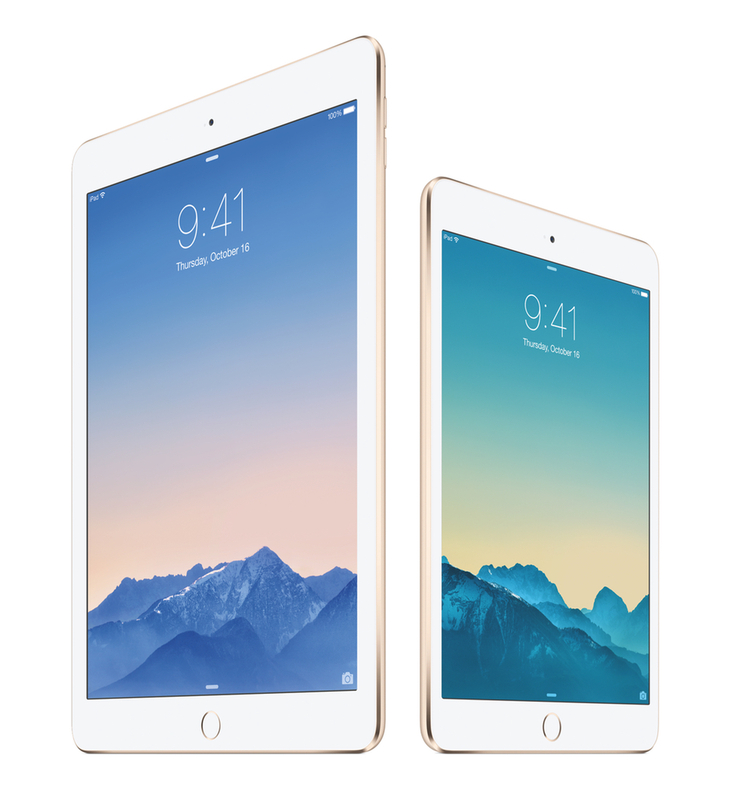 At a media event held earlier today in Cupertino, Apple unveiled the latest entries to the iPad family: the iPad Air 2 and the iPad mini 3. Building upon last year’s launch of the iPad Air and iPad mini with Retina display, the new iPads brings iterative improvements over the last generation, but it should be noted that, this year, Apple has drawn a clear line between the iPad mini and the full-sized iPad Air. Perhaps the headline feature of OS X Yosemite (besides the visual overhaul) is what Apple has called 'Continuity'. Continuity is really just an umbrella-term for a few key features that allow OS X and iOS to, in Apple's words, "connect like never before". Those key features that make up Continuity are Handoff, Instant Hotspot, SMS Relay and Phone Relay. Please note: iOS 8.1 is required for Continuity features. Spotlight in OS X Yosemite is improved not only in its appearance, but also utility. The biggest and most obvious change is that Spotlight no longer resides in the right corner of your menu bar. Triggered by the usual CMD+Space keyboard shortcut, it now appears as a floating bar in the center of your screen. As you start typing, the bar will expand downward to display your results on the left and a Quick Look-esque panel on the right. At MacStories, we believe in knowing all the little features and details of the software we use every day. We enjoy finding all the tweaks and hidden tricks that Apple ships with OS X and iOS every year, we love to round them up in a comprehensive collection. In this post, you’ll find over 60 tips, tricks, and details of OS X Yosemite that we’ve collected throughout the summer since the first beta release of Apple’s major redesign of OS X. The release of OS X Yosemite was announced today at Apple’s media event in Cupertino, and the new OS is available now as a free upgrade on the Mac App Store. Yosemite – version 10.10 of OS X – brings a radical redesign, better integration with iOS thanks to Continuity and iCloud, and several changes to apps like Safari, Mail, and even the Finder. We will have more articles on Yosemite today and throughout the week in our Yosemite hub on MacStories. In the meantime, you can enjoy our collection of tips and tricks to get the most out of OS X Yosemite below.